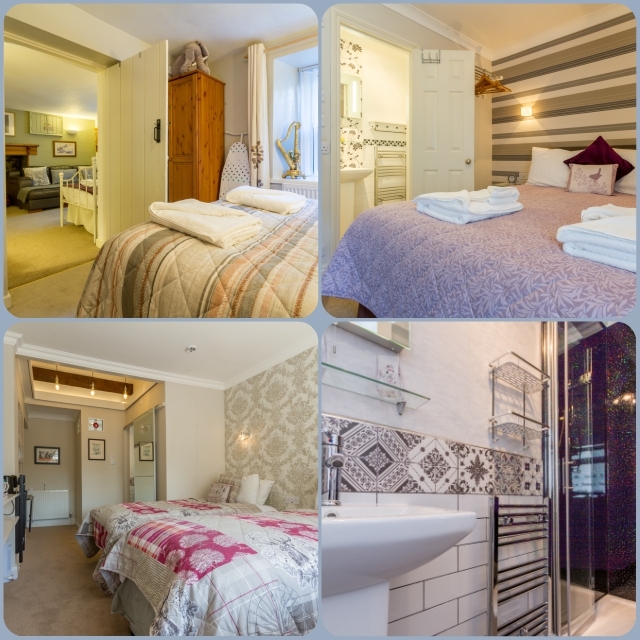 Cambridge House is a family run Guest House in the Lake District town of Windermere, owned by Debbie & Dave for the last 13 years offering home from home traditional accommodation. Built in 1873 in the traditional Lakeland style, built by the Victorians as a gentleman's residence and became a Guest House in the early 1900's. We take pride in offering a warm & friendly welcome with a fresh home-cooked breakfasts, using local produce, from Plumgarths local butchers supporting local farmers, free Range Eggs, Dobson's fruit & veg a local green grocer. we offer a Full English/Vegetarian breakfast or something from our alternatives all cooked fresh to your liking. Cambridge House offers village centre location and offers the ideal traditional accommodation for your Lake District visit. Only a minutes walk from historical Windermere with numerous unique shops, restaurants & pubs, a mere 5 minute walk from the railway/coach station a pleasant 15/20 minute walk to beautiful Lake Windermere, where you can take one of the many lake cruises. One of the many trips available on Lake Windermere are to take the Windermere Ferry/cruiser over to Ferry House and after a short walk or mini bus ride to Hill Top the home of Beatrix Potter where many of her characters sprang to life, and the location of the Miss Potter film. The fabulous Orrest Head School Knott fells are within a 5 minute walk of Cambridge House with views and walks that even the hiking novice can enjoy.